If you’ve been working hard on your golf swings to finally beat that friend of your who always seems to be just 1% better than you, I found a way to give you that 1%. Yes, it’s the way you dress. By applying these really simple steps you can not only look better than your opponent, but intimidate him just enough to lose his focus and be forced to recognize you as the better man. And it all starts with the shirt. Choose a natural fabric collared gold shirt, that you can then match it with your trousers. Golf shirts are essentially polo shirts. They have a collar and they come in either long sleeve or short. The key to wearing such a garment is fit. A lot of golfers wear polo shirts that are at least 2 sizes big. 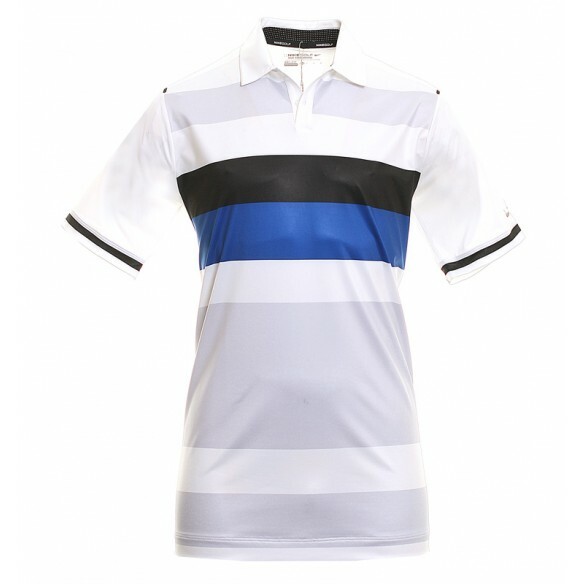 Make sure you get a polo shirt that follows closely your body line, yet not so much as to hinder your swing. When you try it on at the store, try rotating your torso just like you would during a golf match, to see how it feels. Depending on the temperature, you can, of course opt for regular pants or for a pair of tailored shorts. Everyone knows that. But not many know how to match those pants to the golf shirts described above. First off, let’s talk length. You can wear shorts with either short sleeved or long sleeved polos, it doesn’t matter. Just as well, you can wear regular sized pants with both types of polos. Did you take a good look at the shorts above? The length is very important. It should be just above knee level. The fit is also critical – notice how it follows the leg line rather close but not too close. To get that shot right even when the sun’s in your eyes, I recommend you wear a baseball cap. Again, try to keep it logo-free and, by all means, add as much color as you want. Streetwear is not appropriate, go for a pair of professional golf shoes. If you’re only gonna play one time and you don’t want to buy Antabuse durg when you must visit shop a wide range of Nike golf clothing at Function18 or you can take a look around the mall. As always, stick to quality clothing because the garments you’ll be wearing on the course can be safely worn on a night out just as well.